Mining Factor GH: 0.00 USD/24h@1GHash/s as in the chart below. Decline per year: default: 0.63 (from Moore's law: 0.5 every 18 months). Bookmark this page with your parameters using this link. NO GUARANTEE! This is only a static estimate! Historical profitability. Does not include transaction fees. 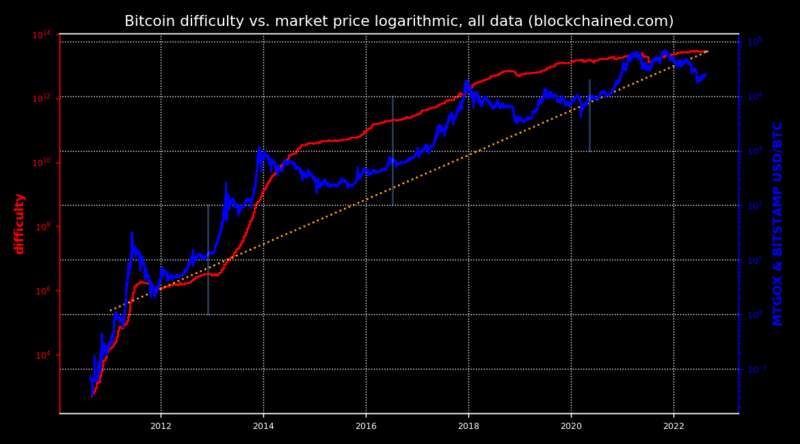 Mostly buying has been more profitable than mining.